Mid-80s pop on Crashed Records. 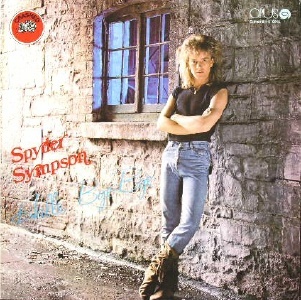 This is Spyder Simpson AKA Spyder Sympson, from Drogheda, who died some years ago. Spyder was an exponent of the non-metal dude in metal duds phenomena. His records are all light weight pop ballads from a would be heart-throb. 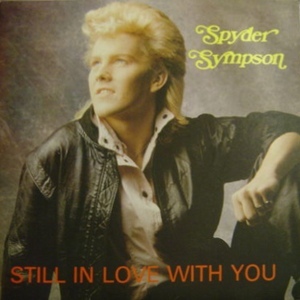 He released several singles on Crashed under the name Spider and Spyder Sympson and had an LP licensed by Opus in the former Czechoslovakia (Crashed couldn't afford to press it themselves). This LP on Opus was presumably the result of his success at the International Festival of Songs in Sopot, Poland in 1987, one of those eastern bloc song contests no-one in the West ever saw but was televised all over eastern europe (and Cuba and North Korea!). 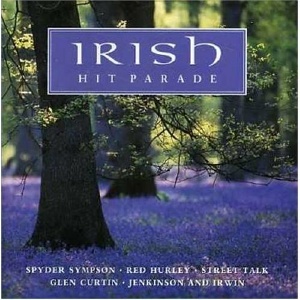 "Another Broken Heart" won some sort of award, making Spyder the eastern bloc's equivalent of Johnny Logan. Crashed issued a complete discography CD/DVD set a couple of years ago. 7" - Crashed Records - CAR86 - 1985? - PS? 7" - Crashed Records - CAR98 - 1986? - PS? 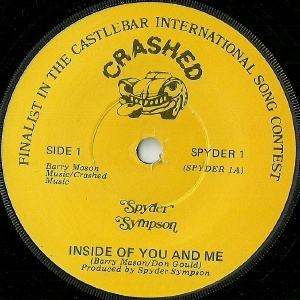 7" - Crashed Records - SPYDER 3 - 1988? - PS?